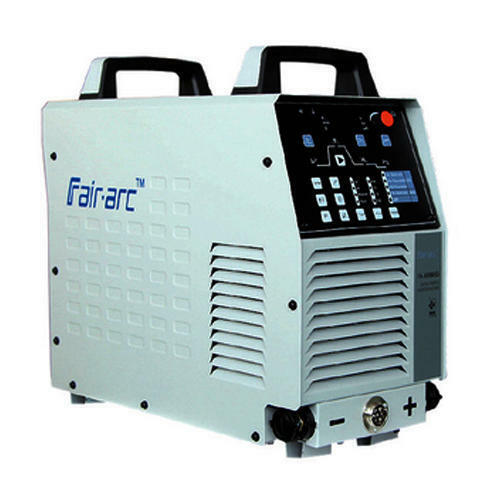 The Digital Inverter MIG/MAG Welding Machine is a heavy duty digital control inverter power source. It has built in electronic controls which have been optimizing for most constant current and constant voltage weld processes. All GMAW including short-arc, globular and spray transfer and Flux cored Arc Welding. Each welding process has a dedicated electronic control which has been optimized for that process. Built in synergic control and 2T/4T/Spot/Repeat function. We FAIRDEAL AGENCIES PVT. LTD. from 2012, are considered amongst the esteemed Wholesale Trader, Importer, and Exporter of an exceptional quality assortment of Welding and Cutting Machines. Offered products range consists of ARC Welding Machines, TIG Welding Machines, and Plasma Cutting Machines etc. All offered products are designed using quality tested raw material at our vendor’s end under the supervision of quality controllers in adherence to quality norms.These products are known for their long service life, durability, and sturdy designs. We are supported by a technically sound team that is considered to be one of the best throughout the industry. Our professionals possess years of experience and hold expertise in their respective fields.Our organization has employed a dedicated team of procuring vendors, which conducts extensive research about vendor's background and products quality before selecting them. Also, we export our products to Sri Lanka and UAE.